Deni's extra large 12-inch by 14.5-inch skillet is perfect for breakfast, lunch, dinner and entertaining. No stovetop needed to cook up delicious dishes, just plug in and cook on any counter top of table. Variable temperature setting can be used for simmer, griddle, fry, sauté, stir-fry, slow cook, roast or just keeping food warm. 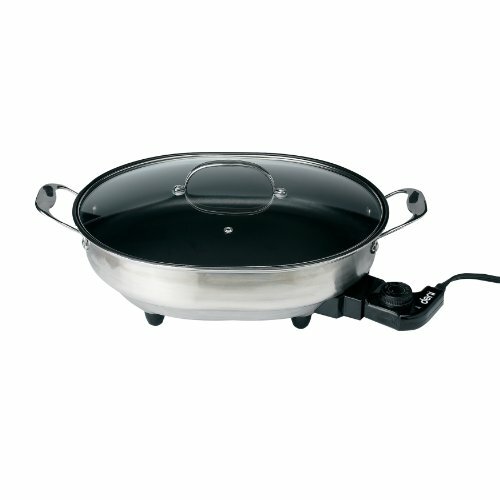 The skillet doubles as a serving dish, keeping food hot or warm at the table. With so much versatility, you will not be disappointed.